I decided to get reacquainted with The Wolf Man this weekend, partially just because it’s been awhile but also because I wanted to check and see if Warren William’s part of Dr. Lloyd was as small as I remembered–yup, it is…at first glance. Actually, he had more screen time than I recalled, but the good Doctor, who largely questions Larry Talbot (Lon Chaney, Jr.) about his condition and then insists to his father (Claude Rains) that young Talbot has mental problems, could have really been played by anybody. In fact, the same could be said of Ralph Bellamy’s role of Captain Montford, but I often tend to look past Bellamy’s vanilla portrayals anyway. Where William went I don’t know. Admittedly, Warren William is past his prime here, but at the same time he’s in the midst of what in retrospect turned out to be some of his most enjoyable work in The Lone Wolf series of pictures at Columbia and he comes with enough regard to be billed second only after Rains. Sharing his embarrassment are Maria Ouspenshaya, Claude Rains, Bela Lugosi, Warren William, Ralph Bellamy and Evelyn Ankers—who under more nonchalant circumstances would be referred to as a “sterling” cast. Most of them look as though they wished they had a wolf-skin to jump into—any old wolf-skin, so long as it was anonymous. …He does not believe in supernatural evil, and as presented in The Wolf Man lycanthropy is a debatable subject. But he provides an interpretation of the disease that fits Larry’s situation quite well. “I believe that a man lost in the mazes of his mind may imagine that he’s anything. Science has found many examples of the mind’s power over the body. Case of the stigmata appearing in the skin of zealots.” His reference to “mental suggestion plus mass hypnotism” seems a logical explanation of Larry’s transformation into a monster, which appears to be a communal rather than a purely private affair. The Wolf Man presents the standard horror film all-in-the-mind explanation that would continue to be heard up through and beyond The Exorcist (1973) and would continue to be just as wrong. In The Wolf Man, we never take the explanation seriously for two reasons: Dr. Lloyd doesn’t figure directly in the plot; furthermore, we possess empirical knowledge to his claims, having already seen Talbot’s lupine transformation. Both authors seem to agree that Dr. Lloyd’s take on Larry Talbot is dead on in the real world, but not in The Wolf Man. We’ve seen otherwise and thus Dr. Lloyd, while offering a reasonable analysis of Talbot, is wrong–Lawrence Talbot is a Wolf Man. But since this is a Warren William site I did my best to step directly into Dr. Lloyd’s shoes during this latest viewing and so tried to give him the benefit of the doubt this time around. In doing what research I could for this post I continued to be frustrated by multiple sources referring to the title “Universal Horrors” by Tom Weaver, Michael Brunas, and John Brunas. I couldn’t find the title excerpted anywhere online except in short snippets when referenced by other titles which just left me wanting more. Just as I was about to give up this lead I found a copy of “Universal Horrors” on my own book shelf! The script’s one transformation scene (Larry turning into the Wolf Man) is seen in a reflection in a dark pool, through Larry’s eyes, so that the audience will get the impression that Larry only imagines himself to be a monster (italics mine)(268). The authors further state that “concealed horrors just didn’t fit in with Universal’s formula” (264). The entry on The Wolf Man laments how it has lost some esteem over the years largely out of preference to Val Lewton’s films of the 1940’s, while Siodmak and director George Waggner’s The Wolf Man not only pre-dates Lewton’s Cat People (1942) but that the later picture “while excellent, smacks of imitation” (264). A side note, in “Universal Horrors” Weaver, Brunas, and Brunas dismiss the performances of both Warren William and Ralph Bellamy as “rather poor” but acknowledged them as “bankable names” for exhibitors. The authors also offer a short bio of William stating that his “career hit its stride in the Pre-Code days,” make mention of his Perry Mason, how he’d been compared to John Barrymore (of course), “but, by the ’40s, his star was fading. 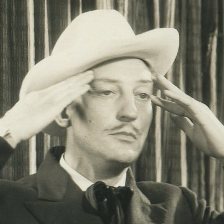 He ran the last lap of his career in forgettable B-pictures and on Poverty Row,” though they concede a “memorable performance” in Strange Illusion (1945). Returning to Doc Lloyd, could there have been more, or more accurately less, to Talbot’s transformations than what we saw? On my most recent viewing one thing which really jumped out in The Wolf Man was that the werewolf that Larry killed with his cane, Bela (Bela Lugosi), was not Lugosi made up similarly to how Chaney later appears, but instead an actual wolf in form. Chaney by comparison looked like something out of the kiddie zoo. If Chaney’s Talbot isn’t a real wolf too then how come Bela’s Bela wasn’t made up in the same style that Chaney was? So if we at least concede the possibility that Dr. Lloyd was right does that elevate Dr. Lloyd’s, and thus Warren William’s, place in The Wolf Man? I believe it does, or at least, I believe that there is more to the Dr. Lloyd character now than I had previously thought there to be. The shame of it from the perspective of this site is that if the original script were shot as intended, Dr. Lloyd moves into what is undoubtedly a pivotal role. But I liked The Wolf Man as a kid, and I still enjoyed it this weekend, so I think I’ll abandon my crusade for recognition of Dr. Lloyd for now … until next viewing at least. This is the next movie-with-Warren-William on my to-see list, so I really appreciate this article. (I must have caught glimpses of The Wolf Man at some point, but I don’t think I ever watched the whole thing.) But the main reason I am commenting is to let you know that I haven’t been able to log on to main page of the Warren William website in recent days–“Internet Explorer unable to display this page,” or whatever the error message is. Thought I’d let you know if you didn’t already. I must admit I’ve been wondering where you disappeared too. Hmm, I’m sorry about that, Firefox user myself, but I do have IE installed and it looks fine here. One idea, and hopefully this is it–if you’ve bookmarked the site, I did change some pages (though they should redirect). I moved all of the original html pages to the blog section–and you know what, I just tried the old home page and got the same error page as you so that’s probably it. I’ll try to fix that on the back end, though I’m not sure if I’ll be able to, so be sure to update your bookmark to the blog home page, I’m very sorry about that! As for “The Wolf Man,” well, don’t go in looking for a lot of Warren William, it is what it is at its heart, and that’s a Universal horror classic starring Lon Chaney, Jr. Thanks for answering, Cliff. Delighted to be caught up with the latest additions. I don’t know how, out of all the times I Googled looking for you, I managed to get, just once, the Wolf Man piece, but I’m sure glad I did. I loved the stills from Under 18, which I rank about where you do: there are actors in it that one likes to see at work, and doing good work, but the viewing time (not really that long) exceeds what the entertainment merits. I may not get to The Wolf Man itself before Labor Day, but I am looking forward to it. Thanks as always, Jeffers, for your interest in the site and taking time to comment yourself–unless I totally miss it, I will ALWAYS reply. I’ll say it again, re: The Wolf Man, horror classic, just good fun. Littered with a strong cast too. Actually, if you freeze the scene of Larry fighting with Bela in his wolf form and look at it frame by frame, you will see that in actuality there are images alternating between Bela the man and Bela the wolf, so that we are left to ask if what Larry sees during the fight isn’t an attempt by his own traumatized mind to rationalize his killing of another human being, no matter how that killing was justified (Bela did kill a woman just moments before). Below is an excellent short analysis of “The Wolf Man”. Michael, thanks for the comment and the link. Excellent article, I agree, although I don’t think I want to be as sure as that author was–I like having the movie work on a few levels or, as you put it, being left to ask about what we’ve seen.